Spring is finally here and it's great to be able to go outside and enjoy the nice weather. 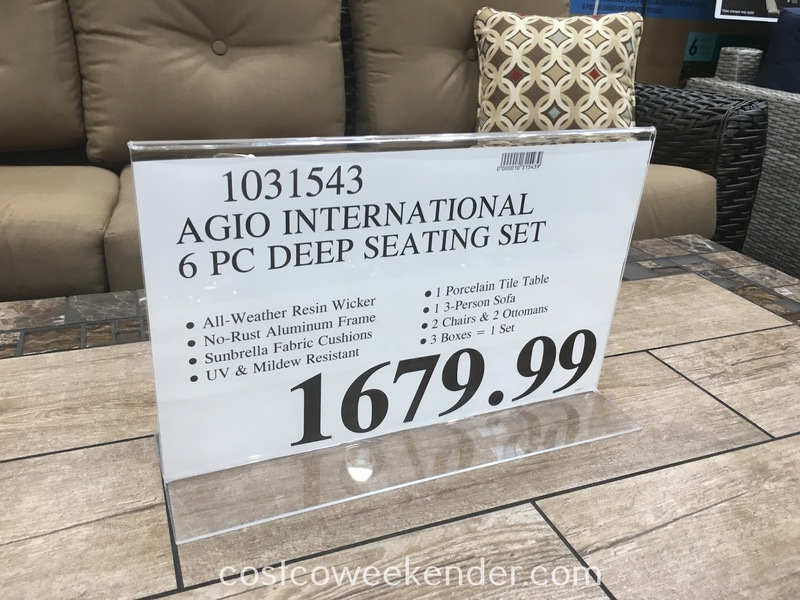 With the Agio International 6pc Deep Seating Set, you and your family can do just that anytime you have an outdoor gathering or are hosting a barbecue for your friends. The Agio International 6pc Deep Seating Set gives you plenty of seating to relax and just hang out. That way you and your guests don't have to stand while eating a plate of ribs. The Agio International Deep Seating Set also includes a coffee table to place drinks and plates of food on. That way dining al fresco doesn't have to be tedious and inconvenient. 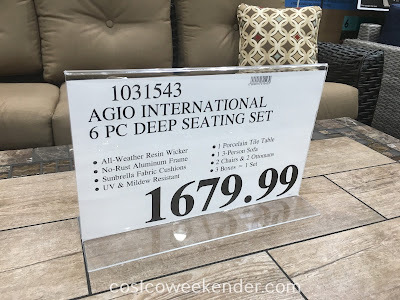 The Agio International 6pc Deep Seating Set is designed to be outside, so you know it'll last you years despite being out in the elements. You'll love having it when it gets you out of the confines of the house.